way to send mass text messages. Upload contacts. Create groups. Type your text message. Send! 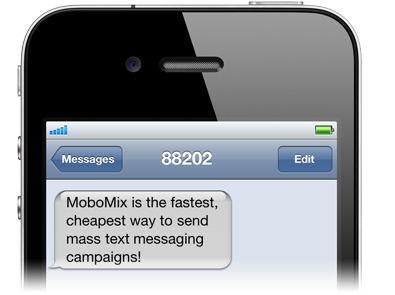 MoboMix allows you to quickly send mass texts. 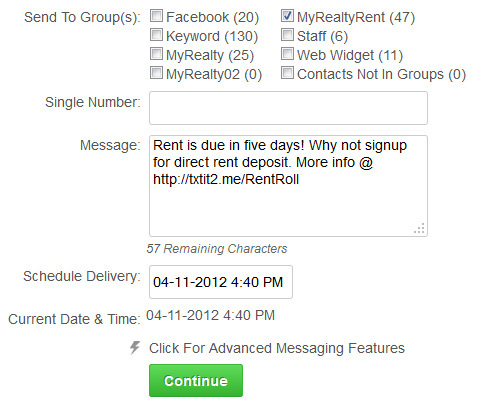 Upload your existing lists of opted in phone numbers. Nearly every American owns a mobile phone - and they carry it with them at all times. Text message marketing is the only way to reach your customers wherever they are, whenever you want to reach them. Over 94% of all text messages are read by their recipient. Email suffers from Spam. Print ads are overlooked. Nearly everyone reads every text message they receive. Are they reading your message yet?